Almotamar.net, Google - 'Michael Jackson asked me in a private conversation if I'd be willing to donate sperm on his behalf,' says Lester. One of Michael Jackson's closest friends, the former child star Mark Lester, has claimed he is the real father of the singer's daughter and would willingly take a paternity test to prove it. Lester, who is godfather to all three of the Jackson children, has told how Michael approached him with a request that he act as a sperm donor so he could have children. He also claims he has concerns about the welfare of Jackson's children and hopes his confession will ensure he is able to maintain contact with them. Lester shot to fame in the lead role of Lionel Bart's 1968 musical film Oliver! and met Jackson in 1982 after the singer's manager rang him out of the blue. He said he was "heartbroken" at losing contact with the three children, Michael Jnr, 12, Paris Michael Katherine, 11, and six-year-old Prince Michael II, known as Blanket. Lester, 50, also points to a close physical resemblance between his 15-year-old daughter Harriet and Paris. He said: "I'm godfather to Michael Jackson's children. I believe that Paris could be my daughter. I would be willing to take a paternity test. "Michael Jackson asked me in a private conversation if I'd be willing to donate sperm on his behalf. I was phoned up by a London clinic and I was asked what would be a convenient time for me to attend," he told the News of the World. "I made an appointment to go along. Michael was married to Debbie Rowe at the time. She's the birth mother of the children so I naturally assumed that sperm donation would have gone into Debbie and Debbie would have both the children. "Of all Michael Jackson's children I'd assume that the one that looks most like me is Paris. In pictures of Harriet and Paris there is a strong resemblance between the two of them. "Paris has blue eyes and a pale complexion and high cheekbones. My girls all have very similar features. It's been commented (upon) many times how similar Harriet and Paris are. "I've come forward now because I have concerns about the welfare and upbringing of the children. There is a contact issue. I really want to remain in contact with those kids and I feel now that this is the only way I can ensure that. "It's very, very upsetting not being able to see all those children. They are my godchildren and I love them deeply." 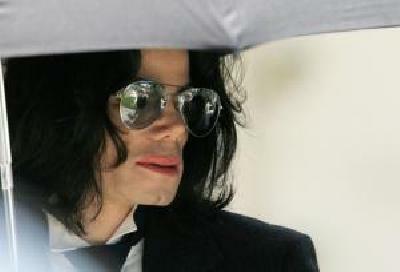 Jackson died of a heart attack at his Beverley Hills home on June 25. He was aged 50. A court has awarded permanent custody of the children to Jackson's mother Katherine, with closely-monitored visiting rights for their mother, Jackson's ex-wife Debbie Rowe. Last month Lester gave an interview to Hello magazine. In what now, with hindsight, appears to be a telling part of the interview, he spoke movingly about Paris' tribute to Jackson at the memorial service at the Staples Center last month. He said: "It wasn't planned, it was spontaneous and a decision taken by Paris. "I sat directly behind the children at the service and know Paris decided to get up on the stage there and then, because she wanted to do something, by herself, for her dad. "At Jackson's memorial service, Paris had taken the microphone and told the audience: "Ever since I was born, Daddy has been the best father you could ever imagine. And I just wanted to say I love him so much."